Established in September 2013, Cafe+ located 5 minutes away from NLEX Sta. Rita exit can be considered as one of the best coffee and dessert shop in Bulacan. The menu offerings are worthy of comparison to other commercialized cafes in Metro Manila. Aside from coffee and dessert, they also offer brunch from store opening to 2PM and pasta dishes from 2PM onwards. Although the place is situated along a busy road, it still offers a cozy ambiance whether you are seated inside or outside the cafe. In August 2017, Cafe+ opened its first branch in Munoz, Nueva Ecija. A charming cafe with a laid back ambiance is the setup of ETC located in a residential village in Calumpit Bulacan where you could also find a row of different restaurants. The cafe is decorated with different kinds of table and chairs and accentuated by capiz chandelier. Books are available if you want some alone time reading and a ukelele guitar if you are more inclined to music. High-speed wifi is also free to use. Coffee + Community = Coffeenity. Coffeenity is located along the busy road of Mc-Arthur Hi-Way where traffic is comparable to EDSA. The facade is not that attractive but the indoors will surprise you with its homey feel ambiance. They serve great coffee and good food perfect for catch up times with friends. What makes this coffee shop differs from the others is their live music on weekends. 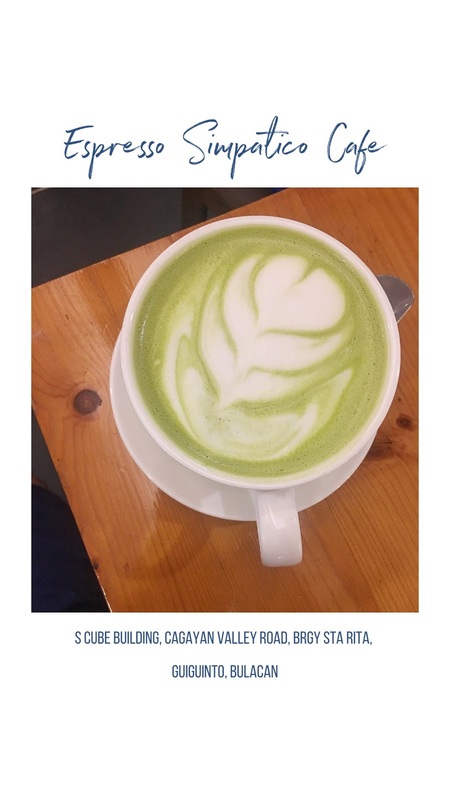 Aside from the good coffee and good food, Sirius Espresso also offers Instagram-worthy interior, relaxing ambiance and quiet place for alone time. Although this cafe is not accessible via public transportation (except for tricycle) since it is located in a diversion road where mostly private cars pass by you would not regret going here. Named after the owner's grandfather, Bombo is a tea and coffee shop which was established in August 2016. This hole-in-the-wall coffee shop is a must try when visiting the town of Bocaue. It offers good ambiance with it's decorated interiors depending on the season/occasion and good food/drinks to share with family/friends while listening to soothing instrumental music. Papi's Cafe is among the best boutique cafes that serve the best milkshake in the province of Bulacan. Their nutella and avocado milkshake is a must try for first-time visitors. The cafe is located inside a clothing boutique (Boufe) in downtown Malolos. Although they can accommodate few people only due to space limitation, their Instagram-worthy interiors, delicious menu offerings, and trendy clothes would give you enough reason to visit Papi's. The exterior and interior are not that attractive compared to other cafes in Bulacan. The simplicity of the interior is enough to concentrate much more on the food and drinks the cafe offers. Originally located in Plaridel (same building as Sirius Espresso) until they decided to focus on their Baliwag store which is more accessible via public transportation. Bavarian Coffee Co. offers genuine quality coffee experience in a classy ambiance located in a one-stop community hub. A great place to bond with family and friends over coffee, pastries, pasta, and burger. Located in front of the Galilee Wonderland Resort, Cafe Galilea is a gem of Bustos in terms of quality of food and service. The cafe provides a vibrant atmosphere perfect for family and friend meet-ups. Foods and drinks are of excellent quality at a reasonable price. One of the best cafe in Bulacan which offers quality food at an affordable price. Since March 2016, Wence' Dessert Cafe offers shakes, fries, toast, waffle, burger, pasta and rice meals to their patrons in Malolos and Guiguinto area. In June 2017, they brought their brand to San Fernando, Pampanga. Dog House Cafe by BL Pet Shoppe and BarkingMad is a dog cafe, pet hotel and dog school in one, first of it's kind in Central Luzon which opened in December 2016. For 99PHP, two-legged visitors will have a chance to play around with their resident dogs for two hours. The cafe allows bringing of your own dog to play with the other dogs, a pet hotel where you could leave your dogs overnight if you are going out on a trip and a dog school where you can get your dog to learn tricks. There is a small area at the back where humans could enjoy blended drinks, coffee, juices, pasta, and sandwiches. One of the most Instagram-worthy establishment in Bulacan because of it's pastel-colored setup. It became viral in 2017 because the cafe's interior is very much Wes Anderson inspired, it closely resembles the set of the movie The Grand Budapest Hotel. The cotton candy pink, teal green and gold accents provides cool and relaxing effects to the customers. Aside from coffee and blended drinks, you could also try their rice meals, pizza, homemade ice cream, and pastries. The cafe shows love and cares to the environment by providing steel straw for dine-in orders. Espresso Simpatico Cafe is the favorite coffee shop in the municipality of Guiguinto which serves the best coffee and ice blended drinks. Aside from their great food and drinks at reasonable prices, their staff are accommodating and very friendly to the customers. P.S. 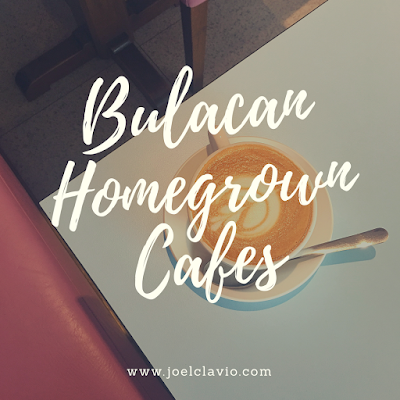 If you have other must-try cafes in the province of Bulacan, you may leave the name, location and recommended food/drinks in the comment box below. I will try to visit them soon and include it on the list above.